Research Associates is a full service business-to-business market research agency which conducts studies for UK and international clients in the UK and overseas. It was established in 1976 and has completed over 1,000 individually designed studies in 71 countries worldwide. The company has successful experience in all main industry sectors. Research Associates is a member of the Market Research Society, BIG, (b2b Research Group), ESOMAR and is an MRS Company Partner. Research Associates is a business-to-business market research agency conducting b2b studies in UK and international markets. Research Associates has conducted over 1,000 business-to-business market research studies in many different industry sectors in UK and international markets. Over the last 40 years Research Associates has conducted b2b market research studies in just about every market sector imaginable. Our clients come back to us again and again. Research Associates has conducted business-to-business market research studies all over the world, in 71 countries so far. Research Associates b2b market research agency is owned and managed by the Directors, Richard and Lucy Brace. Richard Brace BA (Hons) CMRS – Director. Richard has been with Research Associates since 1989 and is now the co-owner and Director of the company. He is the first contact for new enquiries, advising clients on costs and methods. He designs all of RA’s studies and is responsible for the quality of every research project. Richard is a Certified Member of the Market Research Society. Lucy Brace BA (Hons) – Director. Lucy joined the company in 1989 rising to the role of Research Head before becoming a Director and subsequently co-owner of the business. Lucy is responsible for the production of RA studies, specialising in job supervision, analysis, report writing and presentation. She has supervised nearly all of Research Associates’ projects over the last 15 years in many countries throughout the world. 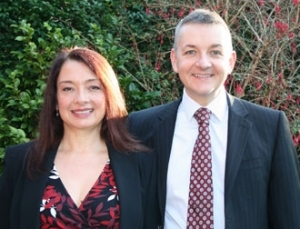 Together, Lucy and Richard have designed, supervised and written all of RA’s projects over the last twenty years, gaining consistently high customer satisfaction ratings and delivering every project they have managed in full and on time. Carlota specialises in market research in Southern European and Latin American countries and has worked on many international studies in many market sectors. She speaks French, Portuguese and Spanish, and has worked for RA for over 20 years. Carolyne has worked for Research Associates since 1997. She is one of our most experienced attitudinal researchers and has conducted telephone fieldwork in many markets in Europe and North America. Michael is a Certified Member of the Market Research Society and has been in the industry for over thirty years. He specialises in desk research and quantitative methodologies. Simon has been working for RA for 20 years and has conducted telephone fieldwork throughout the world. Mark has also been working with RA for 20 years conducting fieldwork throughout the world. He speaks Dutch, French and German. Alfredo is a relative newcomer to the team as he has only been working with us since 2003. He specialises in in-depth fieldwork and speaks Italian. Research Associates b2b market research agency was founded by Terry Darlington in 1976. 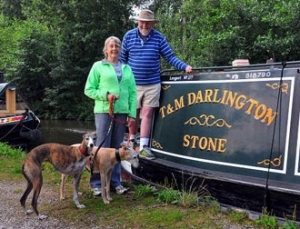 After retiring, Terry and his wife Monica took their dogs and their narrowboat across the English Channel and through France to the Mediterranean Sea. Terry wrote a book about their adventure which was so successful that they then navigated the US Intracoastal Waterway from Norfolk Virginia to the Gulf of Mexico and he wrote a book about that too. 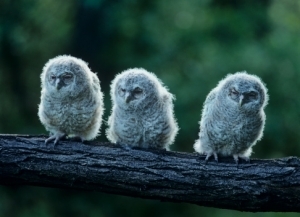 Terry followed these up with an autobiography about his extraordinary life. The three books – Narrow Dog to Carcassonne, Narrow Dog to Indian River, and Narrow Dog to Wigan Pier have sold a quarter of a million copies to date. For more information see www.narrowdog.com.